and capture those memorable moments you will all want to remember from your wedding reception with style. Everyone has a phone with a camera these days, but no camera can capture your guests quite like a caricature. a customized piece of artwork from your wedding day to remember forever. Quick, Hilarious Entertainment & A Party Favor! – Caricatures can take about 2-5 minutes a person in black and white so plenty of your guests will be caricatured. For larger groups I can bring a fellow artist along with me so more people can be drawn. – Not only do caricatures create on the spot entertainment, but they double as a party favor that your guests will hold onto for a lifetime! – Everyone can enjoy watching their friends and family get a caricature, even those that don’t get drawn. caricatures will keep the party and laughter going throughout the day or night, the line never ends. they had drawn on your wedding day, the memories and laughter never end. 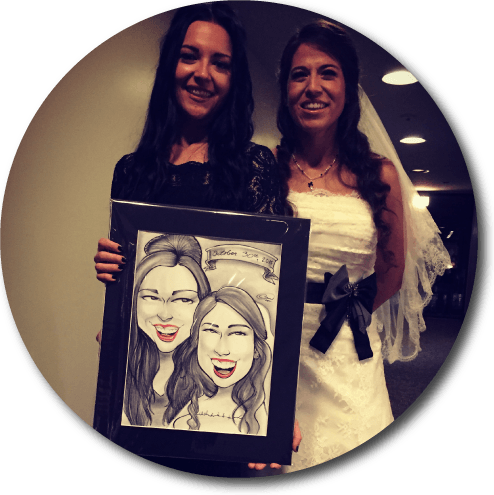 – A custom emblem commemorating your wedding day can be printed on each caricature. You can include your names, the date, time, location, and a graphic. The paper can be customized any way you would like. How Do You Want to Wow Them? Digital caricatures or Hand Drawn? Either way your guests are going to love them. – Drawings take 2-5 minutes/person so plenty of clients will be caricatured. – Can be drawn in black and white, grayscale, or color. 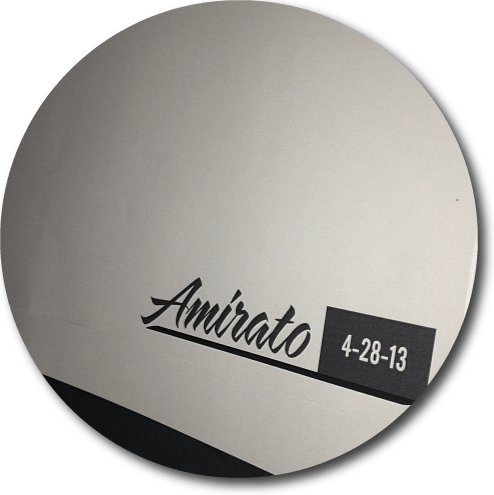 – Customized paper is available in black and white or color. – Matting options are available. – Displayed on 32″ monitor for maximum visibility. – Can be drawn in black & white, grayscale, or color. – Printed on 4″ x 6″ photo paper.